Our hard boat Predator is fully licensed to DOT and MCA standards with all the safety equipment required and licensed to carry up to twelve divers. Fitted with GPS, radio, fish finders, radar, chart plotters, VHF and oxygen. Predator has now been fitted with its own lift at the back of the boat. Len is an expert boatman with 35 years experience of boat handling, from sailing vessels to safety boat cover, he is also an RYA Instructor and SAA qualified Advanced Open Water Instructor. All our other boatmen have equal experience and know the waters like the back of their hands. 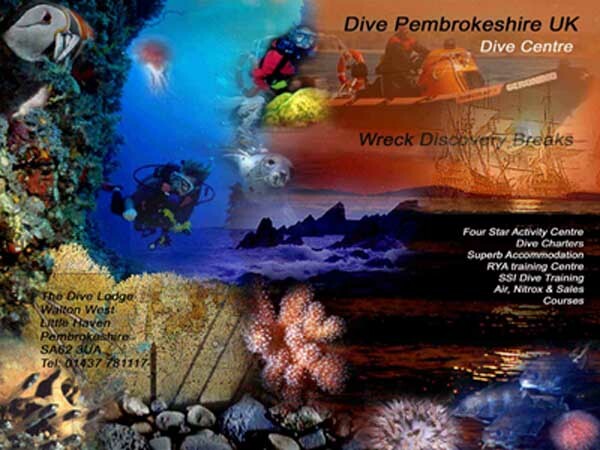 Being divers ourselves, we understand the needs of other divers. The boat has its own Dive Marshall to check you in and out of the water, nothing is too much trouble. 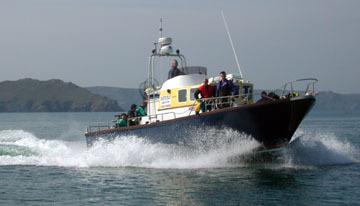 Predator our hard boat has been featured on BBC Magic Islands, HTV Coast to Coast and SC4 with Judy and Richard. Predator is berthed at Neyland Marina at the bottom on the main walkway into the marina itself. The marina has toilets, showers, shop and cafe. I can recommend the breakfast and coffee!